Investors are flocking in high numbers to invest on the Istanbul real estate properties. The overall set up for property investment highly favors the investment buyers and the guarantee for getting tenancy proposals, ensures that the property starts generating income from day one itself. In concurrent time, Istanbul in Turkey happens to be one among those cities that are given the highest of importance in the perspective of property investment. 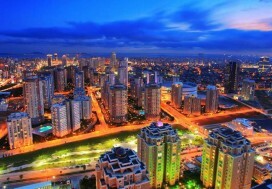 Istanbul real estate market enjoys great trust and reliance from the international investment buyers. This list of the foreign investors on the real estate in Istanbul is dominated by the investors from the Middle East countries. Istanbul comes in the list of the 5 largest cities in the world. The city of Istanbul marks the crossroad of Asia and Europe. The properties lying at the Anatolian as well as the European half of the city is always in great demand among the international buyers. Istanbul property market is diversified and varied, having the answer to all sorts of taste and all rages of budget. Aside, to promote the rate of international investments, Turkish property developers offer competitive quotes to the investment buyers and assist them to complete the purchase related formalities smoothly. In that regard, the untiring services from the real estate agents in Turkey has also to be given special mention. Aside, the cultural and historical legacy, the fame of Turkey as a tourist destination and of course the hassle-free transaction process stimulates the international buyers more to come up and invest on properties in Istanbul. 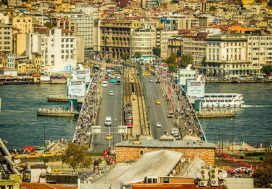 Analyzing the reasons for the growing tendency among the international investment buyers to put their funds on Istanbul houses, you have to specially mention the Governmental policy and the easy availability of the housing finance scheme too. Recently, the Turkish Government had relaxed the laws on investment buying that is giving huge impetus to the interest of the international investors. Investment buying is made purely on commercial acumen and in that regard the rate for taxation on the properties matters a lot. Secondly, the international buyers are given guarantee that they would be offered with rental proposals. These factors ensure that the buyer can start generating revenues from his property, may be from day one and on that the expenses on overheads like taxes being on the minimal side, the buyers can save the highest count of the revenues, thereby incurring satisfactory revenue gains. Thus, no matter the investor goes for property for sale in Istanbul or the apartments for sale in Istanbul, it stands assured that his investment would generate returns at the optimal rate.